Krishnakshi Kashyap - one of the most talented young Sattriya dancers at the moment, has been conferred with the Young Talent Artistes Award for the year 2017-18, by the North East Zone Cultural Centre (NEZCC), Ministry of Culture, Govt. of India. The awards, presented to a number of talented artistes of the region, were given away by the Hon’ble Governor of Nagaland and the Chairman of NEZCC, Padmanabha Balakrishna Acharya, on March 8, 2019, at Shipgram in Guwahati. A stage prodigy, in view of her achievements at such a young age, Krishnakshi is a disciple of Nartan Kala Niketan’s Ramkrishna Talukdar, who has been a constant source of learning and guidance throughout her journey. "His dedication and contribution towards the art form has always inspired me to challenge myself to be a better performer at every stage. He is a firm educator and I used to practice for hours under his guidance," Krishnakshi said of her guru Talukdar, a recipient of the prestigious Sangeet Natak Akademi award in 2017. Krishnakshi, who started her Sattriya education at the age of six, has also trained in Bharatnatyam under the guidance of Sangeet Natak Akademi awardee Guru Indira P P Bora, in Kalabhumi, Guwahati . She has performed in numerous events under the banner of both Nartan Kala Niketan and Kalabhumi. She also became a part of Sattriyakristi - a society dedicated to the promotion of arts and artistes, where she is now devoting herself for the promotion of this art form. 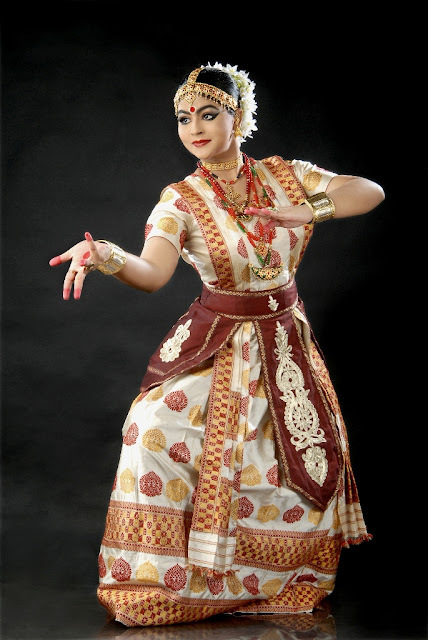 She has successfully accomplished her training in both the dance forms, having completed her 'Arangetram' ceremony in Bharatnatyam at the age of thirteen, and 'Rangayatra' in Sattriya at the age of fourteen. Krishnakshi said, "learning is a lifelong process and the Guru-Shishya tradition of Indian classical dance form denotes a lifelong and relentless process of acquiring knowledge from your guru." Krishnakshi has been an active performer in the past few years. She has extensively performed in multiple platforms across the country, organised by NEZCC, Ministry of Culture, IGNCA, Sangeet Natak Akademi, festivals organised by cultural and tourism departments of various states. Some of her notable performances in various celebrated music and dance festivals include: Nishagandhi Festival (Kerala), Eshanya (IGNCA, Bengaluru), Nalanda Festival (Mumbai), Uday Shankar Dance Festival (Kolkata), Bharatheeyam Festival (Kochi), Sparsh Purbottar (SNA, New Delhi), Malwa Festival (Indore), Vedvyas Sangeet Nrityotsav (Rourkela), Indradhanush Dilli (New Delhi), IPAF (Kolkata), Nritya Milan (New Delhi) , South Asian Youth Conference (Bengaluru), Neermahal Tourism Festival (Tripura), etc. 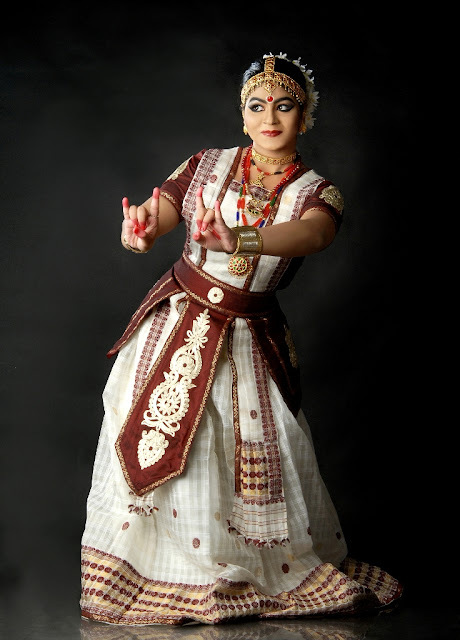 Apart from her solo performances, she has also been a part of many dance dramas and choreographic creations by Ramkrishna Talukdar, with whom she has shared the stage on a number of occasions in numerous prestigious events, which has given a big boost to her professional dancing career. "The recognitions and awards helps the artiste to get better opportunities for performance. My aim is to take Sattriya dance to as many platforms as possible across the globe," said Krishnakshi, who is also a graded artiste of Prasar Bharati, Doordarshan Kendra, Guwahati, in Sattriya Dance. Presently pursuing her degree in Economics from Jesus and Mary College under Delhi University, she is passionately working for the promotion and propagation of Sattriya Dance. It may be difficult to pay attention to both studies and dance at the same time, but she has been able to strike a perfect balance. The feeling of performing on stage before the art lovers and the promotion of Sattriya, her state's invaluable legacy, gives her the highest level of satisfaction, which makes all the efforts worth it.